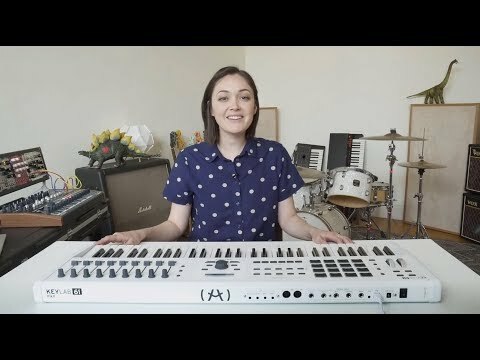 Arturia KeyLab 61 MKII White - Arturia's Premier 61-Key MIDI Controller As one of Arturia's latest entries into their KeyLab range..
As one of Arturia's latest entries into their KeyLab range, the MKII represents a huge step forward in terms of control, quality, and expression. 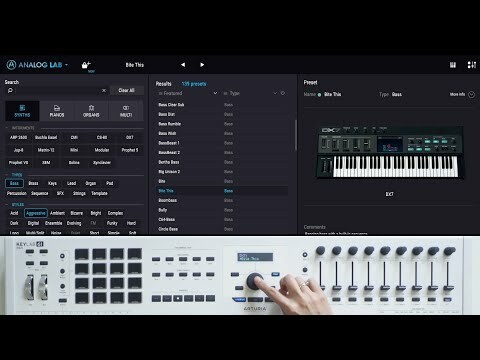 A Serious 61-Note Controller for True Artists! The Arturia KeyLab 61 MKII features a responsive keybord action with 61-keys, an aluminium chassis, advanced configurable interface, 16 RGB backlit performance pads, 9 large faders, 9 rotary encoders, 5 expression control inputs, 4 CV outputs, smart category controls, and let's not forget MIDI and USB connectivity. The ideal controller for V Collection owners. The Arturia KeyLab range is like having the ultimate vintage synthesizer and keyboard studio. Analog Lab software (included) provides access to 6500+ sounds from 21 accurately-modeled vintage analogue and digital synthesizers, keys, organs and pianos - giving instant hands-on editing of each sound using pre-mapped physical controls. KeyLabs also provide fantastic DAW, plug-in and hardware synthesizer control, with KeyLab MKII also providing analogue CV I/O connectivity. Built to offer a superb amount of durability and expressive control, the ergonomic features of the Arturia KeyLab 61 MKII are a pleasure to behold. With its easily switchable magnetic strips, and smart layout, this MIDI controller keeps the learning curve to a minimum. Not only that, but its CV functionality allows you a superb amount of control over vintage outboard synths and modular devices - this really is a great controller for when you have to have absolute control over your work. 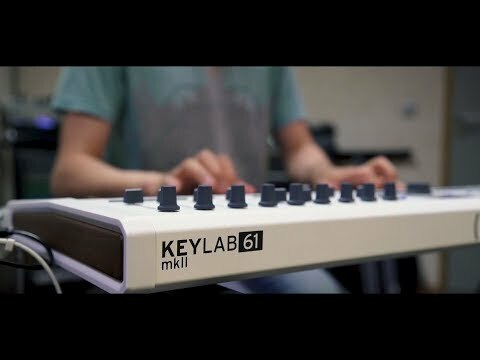 The KeyLab MKII most certainly excels at putting you in the driving seat, with it's solid metal housing, responsive performance pads, programmable user maps, and advanced connectivity. It allows you to fully control your DAW, instruments, effects, and outboard equipment thanks to the incredibly configurable user maps, letting you assign any parameter you want to the multiple onboard switches, performance pads, rotary knobs, and large faders. With it's total control nature, the KeyLab 61 MKII offers a superbly playable, luxurious-feeling keybed - in fact the very same one is found in Arturia's flagship Matrixbrute synth. This stunning example of keyboard technology has been calibrated to capture every nuance of your performance, from a soft flourish to a hammered-out chord, with aftertouch!